How has a gift you have received, or a gift that’s been shared with you, changed your life? 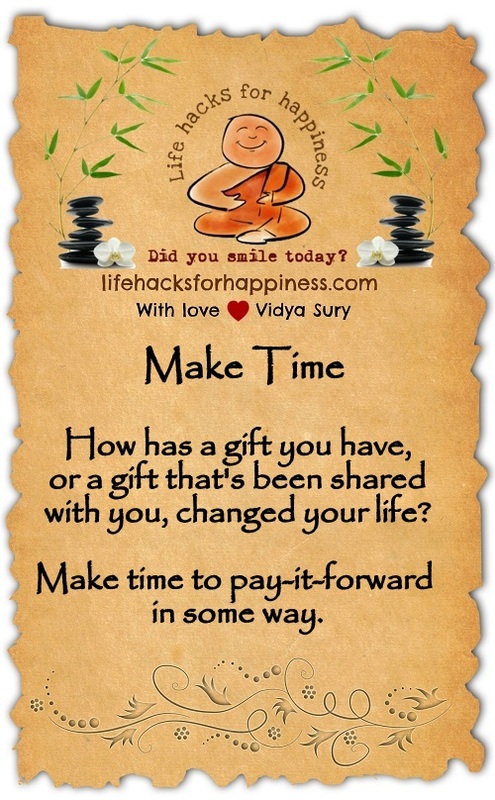 Today, make time to pay-it-forward in some way. My philosophy exactly. be thankful and pay it forward. If everyone did this our world would be a much better place.